Tel Aviv-based artist and children’s book illustrator, Jenny Meilihove. Meilihove, who moved to Israel when she was a kid, studied at Bezalel Academy of Arts & Design in Jerusalem, and today, displays her naive, imaginative world, where anything is possible, through her pictures. 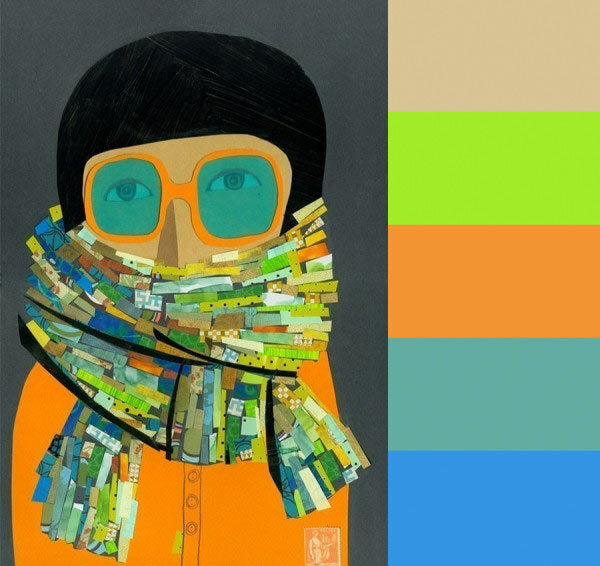 These portraits—who appear to be of our favorite scarf-maker Yokoo Gibraan—made us smile. Yummy treats for the holidays!